If and when your crypto investments go back up feel free to spend about $100,000 on one of these new creations from the watchmakers at MB&F and noted horologist Stepan Sarpaneva. The watch, called the MoonMachine 2, has a “heads-up” time display on the back end of the case where you see the hours and minutes in bold numerals along with a Sarpaneva-style moonphase display that peeks up and around the bottom of the case. 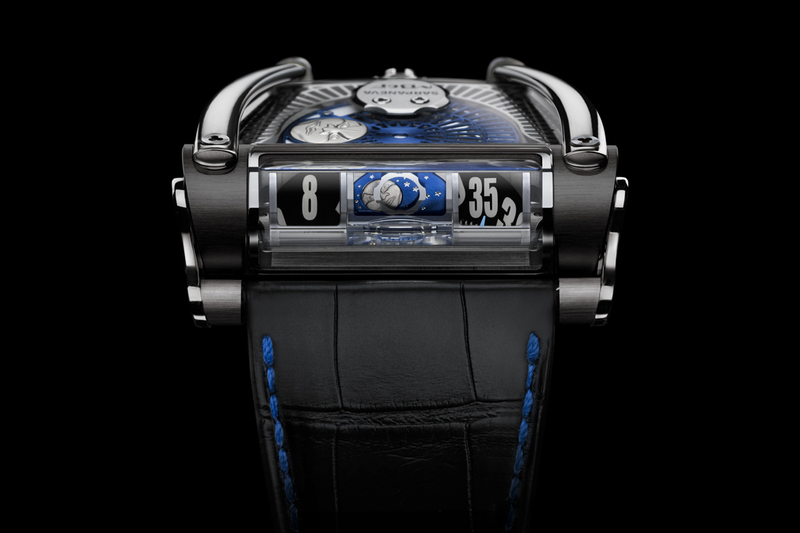 The case is covered in sapphire prisms and the display itself features a unique magnification system to increase the size of the dials by 20%. “There are three instances of the immediately recognisable Sarpaneva moon in MoonMachine 2, its piercing eyes and pointed features based on Stepan Sarpaneva’s own face. Two of the Sarpaneva moons are mounted on the moon disc, taking it in turns to cycle under a Korona ring — another Sarpaneva design hallmark — to indicate the phase of the moon,” write MB&F. Why should you care about a high-end piece like this? It is, in short, the last of the dying art of haute horologie and MB&F is keeping a number of near-dead technologies alive in this piece including the automatic movement, the moon phase itself, and the unique time-telling method using disks. While it’s obvious that a piece like this is pretty frivolous, especially at over $80,000 for the Titanium model, it’s nice to know someone cares about the night sky enough to bring us a little leering moon for our keyboard-weary wrists. The watch is available now if your ETH holdings are up.